The best thing about living in London is that there is always something new, something unusual or something hidden away that can delight you and inspire you. Tang London is one of those. 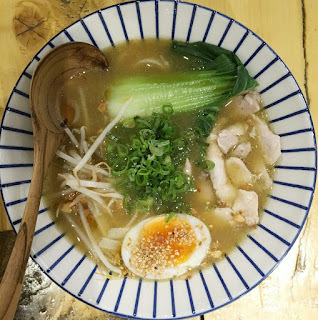 A newly opened noodle bar on Great Russell Street (just off Tottenham Court Road). The entrance is tucked away between the flashier VQ restaurant and the YMCA. Or, if like me, you can't read the street names for scaffolding, through the entrance of the St Giles's Hotel. 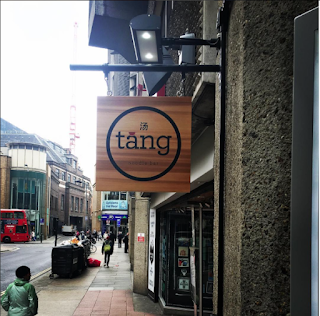 Head Chef Chen Ng, who was born in Singapore, and has worked her way through South East Asia, is the creative mind behind Tang. Commissioned by the patron of the hotel, she has recreated a noodle joint reminiscent of the traditional 'fast food' stall found all over the busy cities of SE Asia, and given it her own branding. 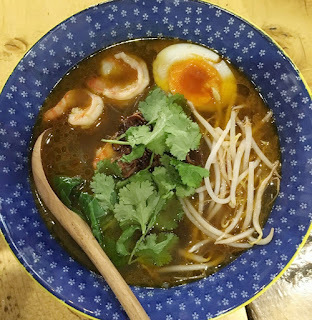 High wooden benches, Chinese newsprint on the walls, framed images of food-related scenes from the sub-continent, colourful noodle bowls on shelves and as a focal point, an open kitchen where Chen herself cooks each dish to order. The menu is concise, but covers everything. If you are familiar with ramen, then Chen's Tang Bowls are a lighter, less creamy version - bowls of comfort, incorporating specialist Chinese herbs and spices. 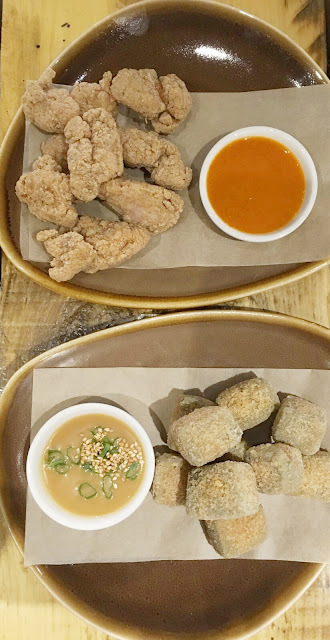 For gluten-free and dairy-free diners, the two starters are coated in rice flour/cornflour batter and deep fried. Vegetarians too are catered for. Black bean tofu. Ever heard of it? Regular tofu, meh... this stuff is awesome. The texture is like fluffy clouds. Served with a white miso sauce, this dish alone is enough reason to visit. The other starter is chicken marinaded in soy milk (again, a shout-out for the lactose intolerant) and served with a homemade chilli sauce, or a lemon tofu dip. The Tang Bowls are then served in beautiful noodle bowls (try not to knock them off the shelf in your excitement!). A choice of prawn, chicken, mushroom or rice again caters for all tastes, and you can make any dish gluten-free by choosing glass or rice noodles, though wheat noodles are also on offer. Each protein comes with its own broth and an array of Asian vegetables and a 6 minute egg. Lunch times are particularly busy and Tang is well suited to theatre goers in a hurry, with takeaway available too. 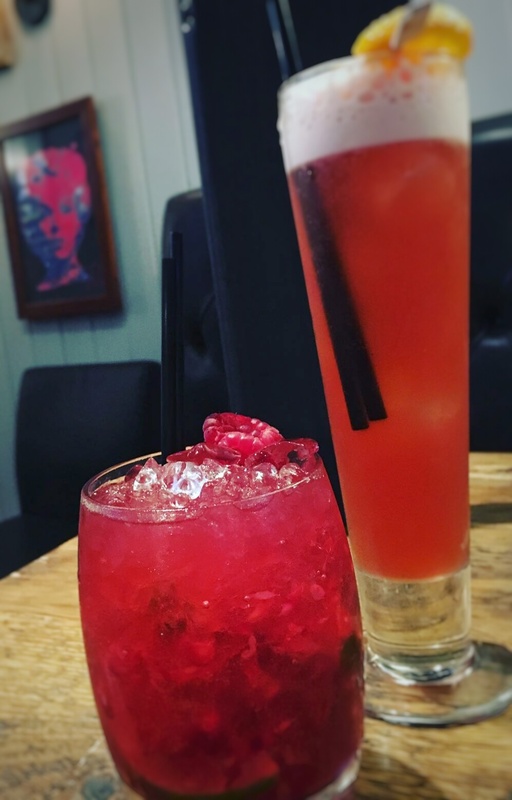 Craft beers and house wine are carefully selected to complement the food. If you stumble upon this new hidden gem, do let me know in the comments below what you think. 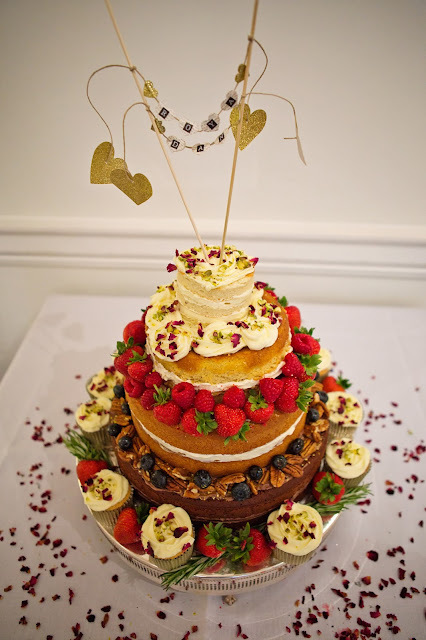 And if you fancy a little something afterwards, perhaps a cocktail or four in Hudson's bar in the hotel next door... or maybe that's just me! Starters £4.50-5, Tang Bowls £10-12, Bottle of wine £22. Professional Images courtesy of Crisp Media.